Service Unavailable Alert Warning Message Attack on Screen. Wire Frame World map Radar Network Glitch Distortion. Login, Password and Progress Bar Futuristic UI Elements HUD Sci Fi Interface. Service Unavailable Service Unavailable Alert Warning Message Attack on World map. Wire frame Radar Network Seamless loop Motion Background. UI Elements HUD Sci Fi interface. 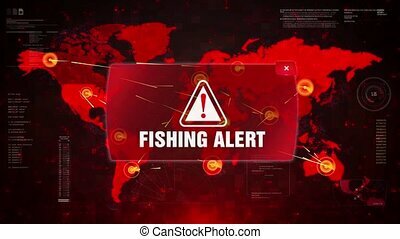 Fishing Alert Warning Message Attack on World map. Wire frame Radar Network Seamless loop Motion Background. UI Elements HUD Sci Fi interface. Danger Alert Warning Message Attack on World map. Wire frame Radar Network Seamless loop Motion Background. UI Elements HUD Sci Fi interface. Firewall Alert Warning Message Attack on World map. Wire frame Radar Network Seamless loop Motion Background. UI Elements HUD Sci Fi interface. High Alert Warning Message Attack on World map. Wire frame Radar Network Seamless loop Motion Background. UI Elements HUD Sci Fi interface. Hacked Alert Warning Message Attack on World map. Wire frame Radar Network Seamless loop Motion Background. UI Elements HUD Sci Fi interface. Ebola Alert Warning Message Attack on World map. Wire frame Radar Network Seamless loop Motion Background. UI Elements HUD Sci Fi interface. FRAUD Alert Warning Message Attack on World map. Wire frame Radar Network Seamless loop Motion Background. UI Elements HUD Sci Fi interface.